← Are You Ready To Be Inventoried? 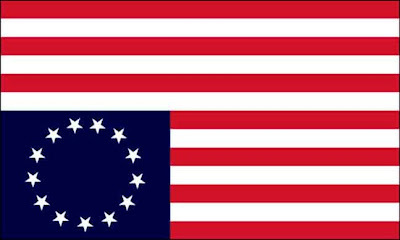 Two hundred thirty-three years ago the 13 colonies declared their independence from Great Britain, throwing themselves fully into armed conflict with what was the greatest empire on earth. The war had already been engaged in 1775, but up to this point it was largely the Massachusetts colony that was bearing the brunt of British might. Now all the colonies stood together. If they failed, the delegates to the Continental Congress would have been hanged as traitors to the crown. The repression in the wake of a British victory would more than likely have made the Intolerable Acts seem like a walk in the park. The war raged on for 5 more years. Americans suffered cold, starvation, disease, privations of the worst kind, all for the promise of freedom, of independence, of building a nation whose overriding purpose was to safeguard the liberty of its citizens. Those of you who have read this blog, and those of you that are paying attention to our present and past, know that we have never really lived up to that dream, that ideal for which those Americans suffered and died. We have fallen short. We have accepted less. We now suffer at the hand of a federal government that no longer feels even the most modest sense of moral obligation to uphold its oath to preserve, protect, and defend the Constitution of the United States. This being the case we cannot celebrate the state of America. We cannot celebrate our freedom. We are not free. We are not free when our Congress passes legislation it does not read. We are not free when our government taps our phones without warrants. We are not free when we are made to pay taxes to a regime that makes us indentured servants to a foreign power that massacres its own people, while the United States government turns a blind eye to such atrocities in the name of preserving the global economy. We are not free when more than half the population of the United States is not seen as equal. We are not free when the vilification of Jews passes as criticism. We are not free when it is deemed acceptable by the President of the United States to be an instrument of the continued marginalization of the gay community. What we can do is celebrate the fact that those early Americans accomplished that which had never been done on the face of the earth: inorganically fashion a nation, determining the type of government that would run it, and fighting for its birth. That is no small thing. It was arguably the greatest moment in the history of the struggle for human liberty to that time (it would have been greater if the establishing of a “more perfect union” did not happen with the legitimization of slavery, and the nearly complete genocide of the indigenous nations of North America). We have squandered it, and are in danger of losing the chance to achieve that ideal, forever. What we can also do is look around the world, see what others have dared to do, against far more brutal regimes than ours, and ask ourselves what we are willing to do to gain our freedom. What risks are we ready to take? What are we willing to sacrifice? Half way around the world, the people of Iran are approaching a month of protest against the illegitimacy of their government. As we speak they are being shot at, tear gassed, arrested, tortured, and executed for daring to stand up for human liberty. Ukraine, Lebanon, China, Iran…look at these pictures carefully. These were not one day tea parties. This was not a protest here or there. These were, and are not online petitions, or letter writing campaigns, or one day general strikes. When the chips are down…when push comes to shove…are you willing to risk it all if need be? Are you? Think about it. It’s Independence Day. Sarah Palin is resigning as the Governor of Alaska. I know who is going to miss her the most, the left leaning Mainstream Media. Who will they use for a Punching Bag Now? No more PDS, Palin Derangement Syndrome, to try and bolster their lousy ratings, and dismal newspaper subscriptions . When many of her detractors, go on one of their many irrational rants, about the soon to be late Governor of Alaska. They can expect the response to be: So What, and Who Cares? Sarah Palin isn’t part of the Government anymore, she will be a private citizen. The Easiest Way to Win At Tug Of War. Hawaii’s experiment with universal health care, failed experiment. First in the nation to attempt universal health care. To cover 3,500 children but parents dropped their private coverage and took advantage of taxpayer funded health care. It ended after 7 months. going to miss her. I included video she was a wonderful American Patriot. Remember When The New York Times Reported The News? We Will Never Forget. Warner Wolf, 11 September 2001.